Modern, sleek, aesthetical, Cold Steel Corporation offers the entire range of Rigid Frame Buildings with specifications to suit diverse needs of span, height, crane capacities, etc. Cold Steel Solid Web Portal structure is made out of solid web, taper plate girders. This rigid frame structure provides sleek and aesthetic buildings. State of the art fully automatic CNC H Beam assembly line ensures world class quality, interchangeability and super fast deliveries.Our in-house Ultrasound crack detection facilities ensure flawless quality. 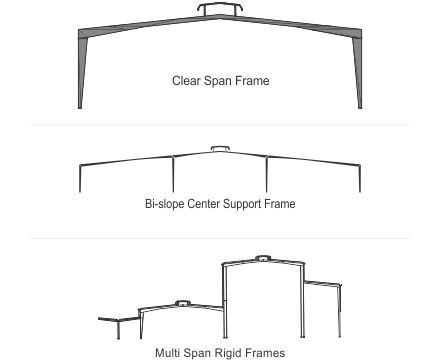 Cold Steel Corporation uses the exclusive ASTROFOIL technique to manufacture rigid frames to ensure unmatched accuracy and 100% matching at site thereby ensuring minimum installation time and full strength bolted joints.